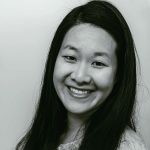 Published Sep 14, 2016 By Julia 5 CommentsThis post may contain affiliate links. Got some leftover cranberry sauce? 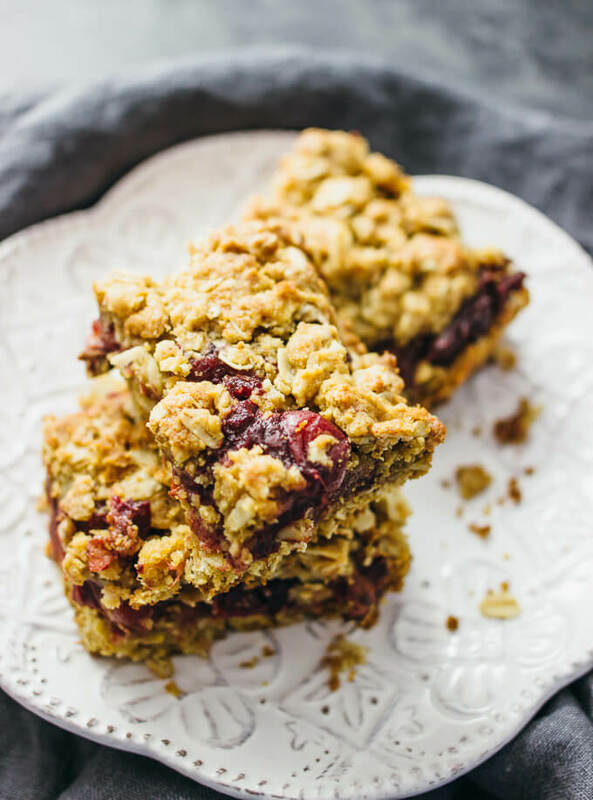 This recipe shows you how to use it up to make these amazing cranberry sauce oatmeal bars with brown sugar that are great for breakfast or dessert! My last post shared a deliciously sweet cranberry sauce recipe handed down from Mr. Savory Tooth’s grandma. So it is only appropriate that today I show you how to use up all of that leftover cranberry sauce! Maybe you made a big batch of cranberry sauce for Thanksgiving and now you’re wondering what to do with it all. 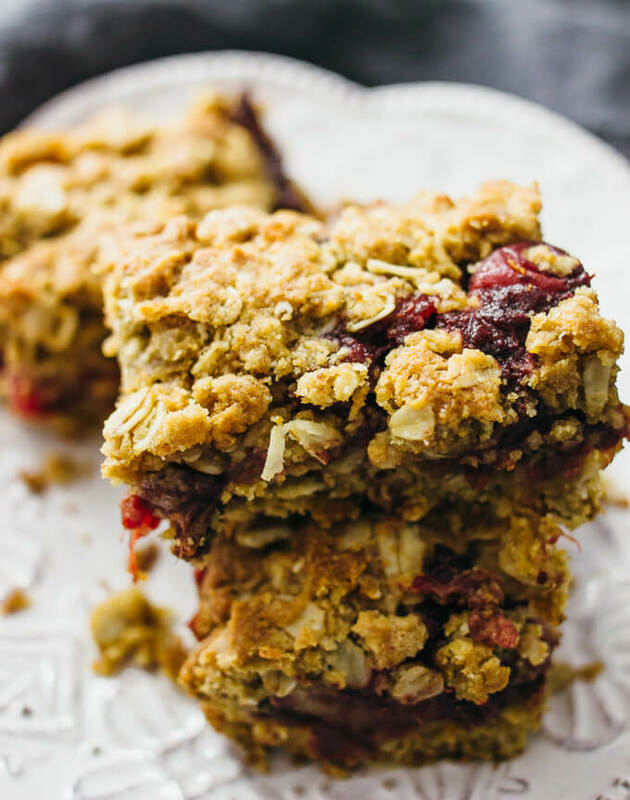 Enter these cranberry sauce oatmeal bars. These bars are made with oats, flour, butter, eggs, and brown sugar, a mixture of which forms the bottom and top of each bar. The middle layer is composed of the leftover cranberry sauce. 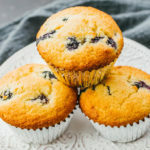 Pretty simple to make, and you can easily save them in the fridge to enjoy later as little breakfast snacks. 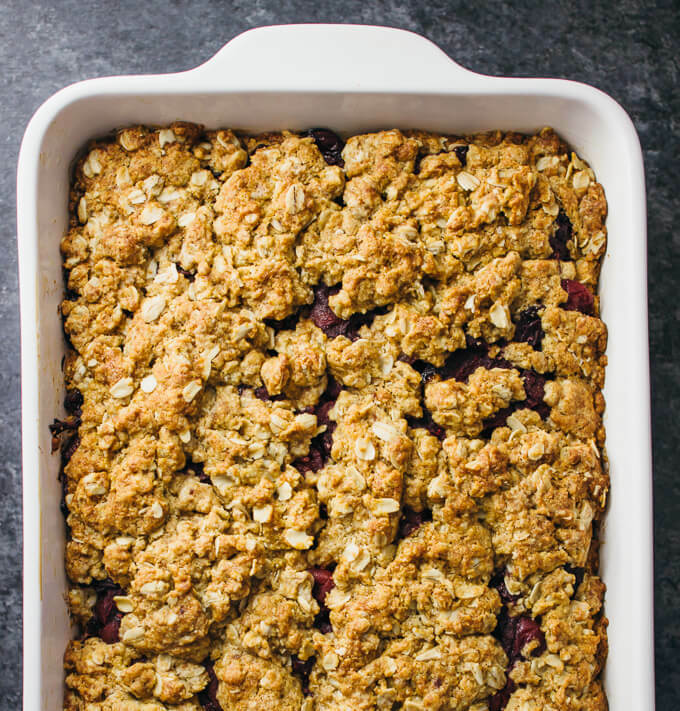 I absolutely love the combination of cranberries + oats in my sweets (let’s say that I’ve had my fair share of cranberry-oat desserts). 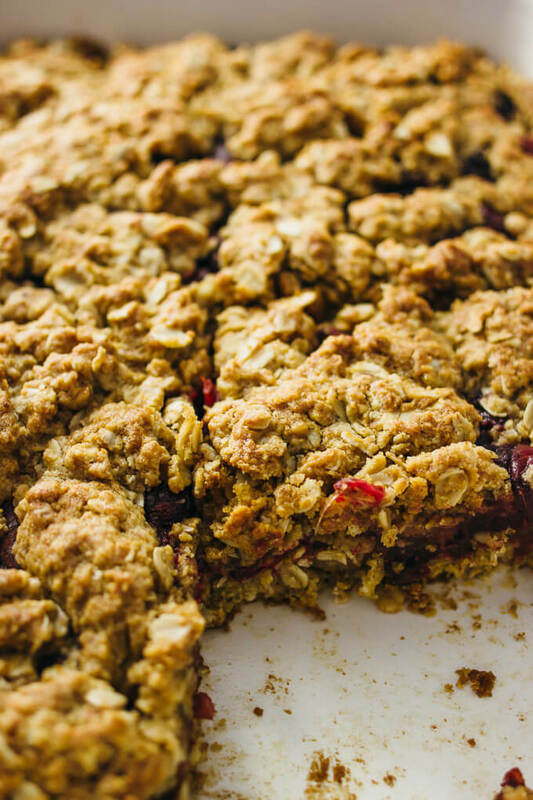 These cranberry sauce oatmeal bars taste exactly like how my ideal cranberry and oat dessert would taste: a little sweet but not too sweet (so that you can enjoy it for breakfast), very generous in the cranberry department, a bit crumbly, and a texture similar to homemade granola. As I do with all of my baked foods, I had a hard time telling myself to wait and let the food cool before cutting into it! I think that I managed to wait 10 minutes this time. ? 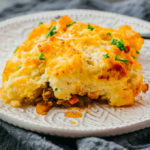 I hope you guys enjoy this recipe, and let me know in the comments if you try it out this year for your Thanksgiving leftovers! 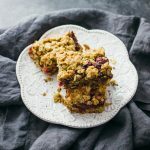 This recipe shows you how to use it up to make these amazing cranberry sauce oatmeal bars with brown sugar that are great for breakfast or dessert! Combine oats, flour, brown sugar, baking powder, baking soda, and salt in a large mixing bowl. Mix well and break up any clumps. Add beaten eggs and melted butter to the bowl. Mix well until the eggs and butter are soaked up by the mixture. Prepare a buttered 11 x 8.5 inch (2 quart) baking dish. Spread about 2/3 of the mixture along the bottom of the baking dish, pressing down flat. Then spread cranberry sauce as the middle layer. Lastly, spread the remaining 1/3 of the mixture as the top layer. 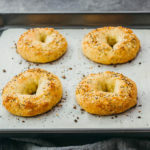 Bake at 350 F for 30 minutes. Let cool and cut into bars. I made the granola bars from leftover cranberry sauce/whole cranberries. Looks really good but I Amber’s wondering if these bars can be frozen? I haven’t tried freezing them, so I can’t say how they would turn out. This was a perfect way to use up my leftover cranberry/apple sauce from Christmas. I added chopped pecans and coconut to the top layer. Bars came out perfectly and it tastes delicious!